Yay for the weekend friends! Do you have any fun plans? This weekend is our annual holiday Nutcracker Market that I go to every year with my Mom. It’s the best time, always with mimosas, and a day spent sampling the yummy food, shopping for toys and holiday decor. The whole thing is delightfully festive and always gets me in the mood for the holidays. I’ll be sure to come home and want to start decorating for Christmas. But first things first! We aren’t even to Thanksgiving yet! We love Thanksgiving too and the special meaning behind it. Speaking of being thankful, I wanted to give a little shout out to this cute boy, our 8 year-old son, James. He’s usually in school when I’m creating content for my blog, so you don’t see him as often as you do Jordan, but he’s equally loved and adored! I think his last appearance was over the summer with his book recommendations. 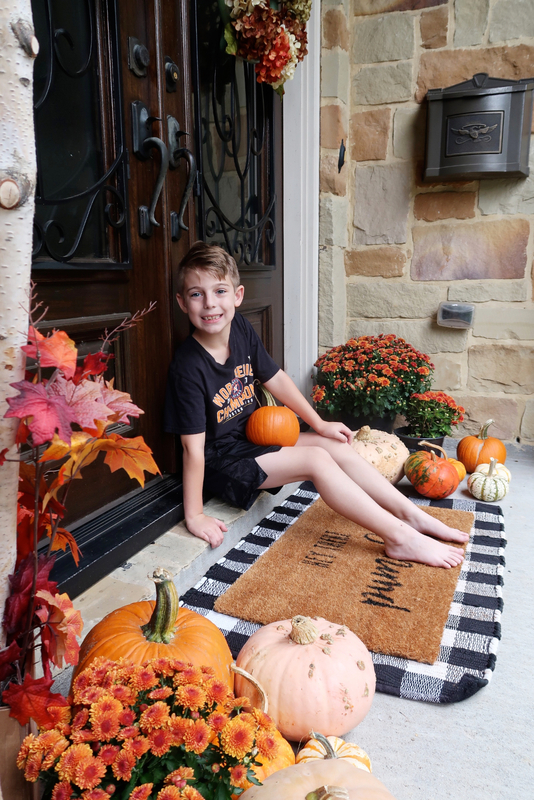 See more of our Fall front porch here. Thank you for indulging a proud mama! Today, I have three super cute Thanksgiving outfits to share with you and everything you need to know about the Gibson x Glam launch on Monday! #getready! And of course the $250 gift card to Nordstrom! p.s. Nordstrom’s HUGE FALL SALE is live now, prices slashed 40% off! 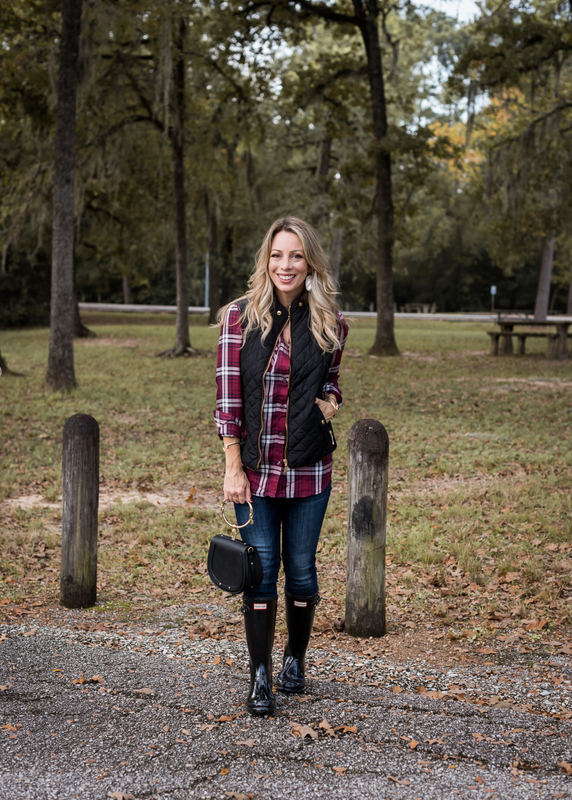 First up, it’s all about the vests that will keep you comfy and warm if you’re traveling or running any last minute errands around Thanksgiving. I couldn’t wait to show you this vest that came in a recent Amazon order. It’s black with gold hardware and brown piping and looks way more expensive than it’s $30 price tag! I love the detailing on it and how the waist cinches in to create an hourglass shape. It’s even cute from the back! VEST FIT: Runs a little small, I’m wearing Small, their smallest size and it fits me perfect. I’m usually XS or XSP. 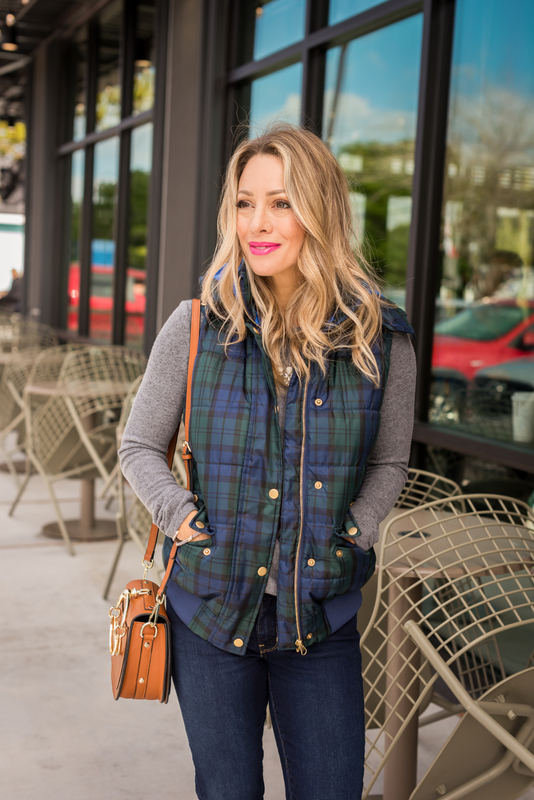 Of course, Fall is the perfect time to wear a plaid button down in those rich colors. This one is on the lightweight side, so not too heavy or thick. I get way more opportunities to wear my Hunter rain boots than I ever realized I would. They come in especially handy when the ballfields are all muddy and gross and you don’t want to ruin your sneakers! Hunter Boot Savings Tip: If you are short, you might be able to order the kids’ boots like I did. To find your kids size, just subtract 2 from your normal size. For example, I’m normally an adult women’s 6, so I ordered kids size 4. The women’s tall Hunter boots hit me at an awkward spot on my knee and were quite heavy, but the kids size worked out great! And they’re much less expensive! 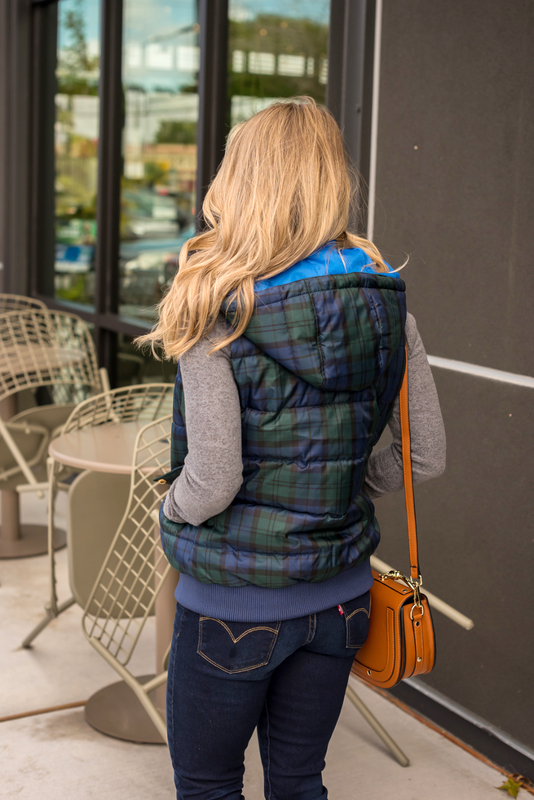 How seriously darling is this plaid puffer vest?! I wasn’t sure how much I’d like it based on the photos online, but when I opened the package, I realized the colors were much prettier and more vibrant than on the website. It comes with a detachable hood, has pockets, and you can machine wash it! Bonus, it’s 40% off! It was normally $50, now $30! VEST FIT: The vest fits TTS, I’m wearing size XS. I love the vibrant pop of cobalt blue on the hood too. I haven’t worn a pair of Levi’s in forever, so I wanted to give them a try. 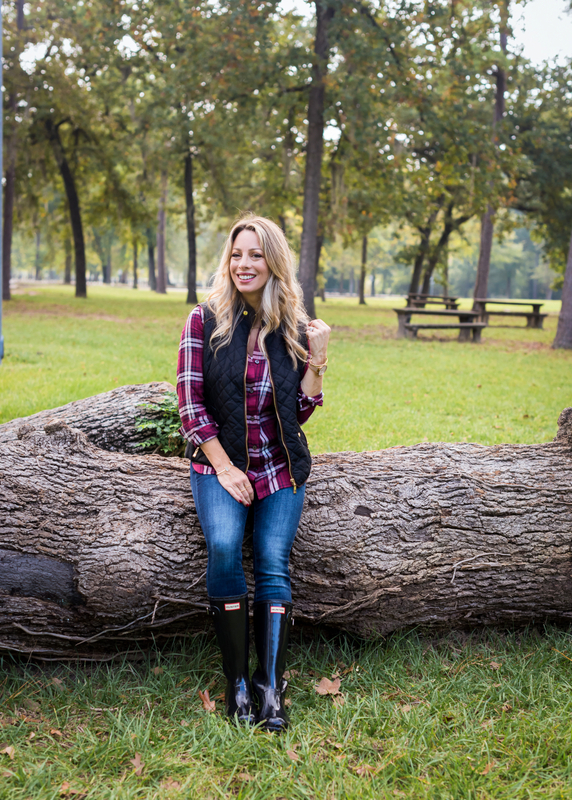 This pair is the 711 skinny jean and I think they are a great versatile and quality jean. Plaid and leopard looks so good together, especially when you have a solid colored top. This pullover has a little something extra with a twist front and ruched sleeves. Behind the Scenes Note: these photos were taken last week, the day before the Starbuck’s Christmas cups launched. We begged for one, but no luck. 🙁 Have you seen the cute new patterns out now?! 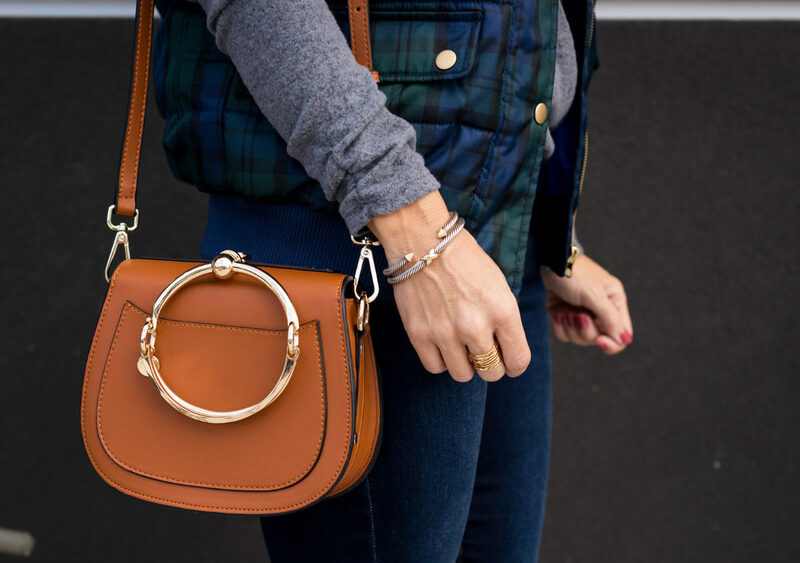 I’m still happily carrying my bracelet bag and like holding it both by the handle, or crossbody style. Finally, if you want to wear a dress for Thanksgiving, this one is great for the big meal because it’s not body conscious. They’ll be no awkward unbuttoning after all the turkey and dessert! The light wash denim is nice and airy and actually quite soft. Cuff the sleeves for a more relaxed look. And don’t you love that this dress has pockets?! I wanted you to be able to see the dress before adding layers. It goes perfectly with the quilted vest in my October Amazon Haul. And then I had to add a scarf because I always love the pop of color and pattern it adds. 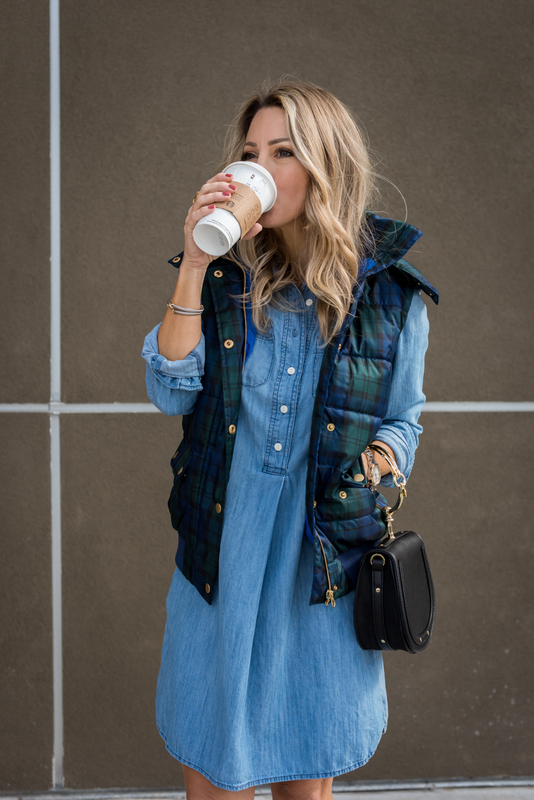 And I also wanted to show you how cute the plaid vest looks with this denim dress. Okay friends, here’s the inside scoop about the Gibson x Glam holiday collection that launches on Monday! GibsonLook & 9 bloggers (Erin • Tara • Ashley • Cassie • Mallory • Dede • Sheaffer • Rachel and me!) joined forces in this one-of-a-kind girl power collaboration. 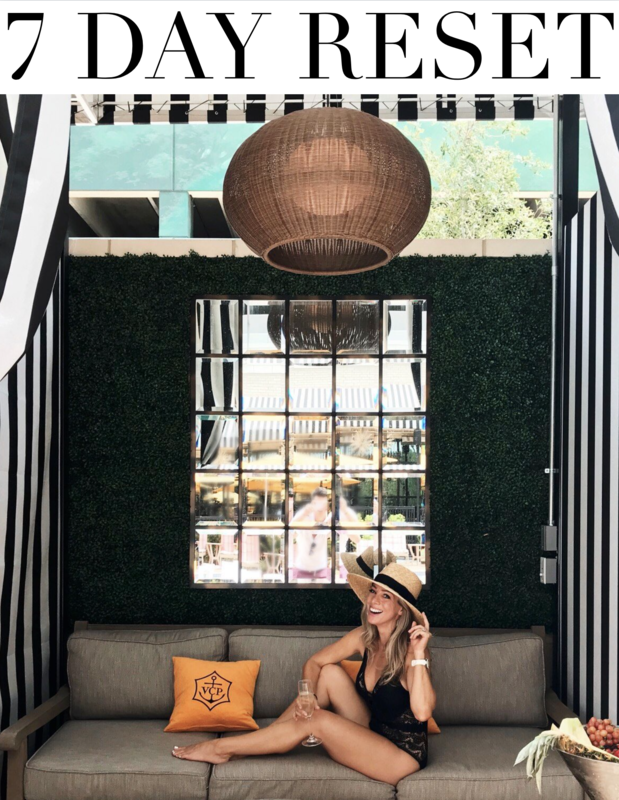 There have been single blogger clothing lines launched in the past, but this is the first 9-blogger team where each person represents her unique style with a signature piece. Get a sneak peek of my signature top here! Can you say #sequins??!! I hope you love it as much as I do and I can’t wait to see each and every one of you rockin’ it! The collection includes 9 signature pieces that will each be the namesake of one of the bloggers involved, and 9 additional styles. Each piece is designed with YOU in mind, to wear to your holiday party, girls night out, date night, office extravaganza, or fancy holiday photos! 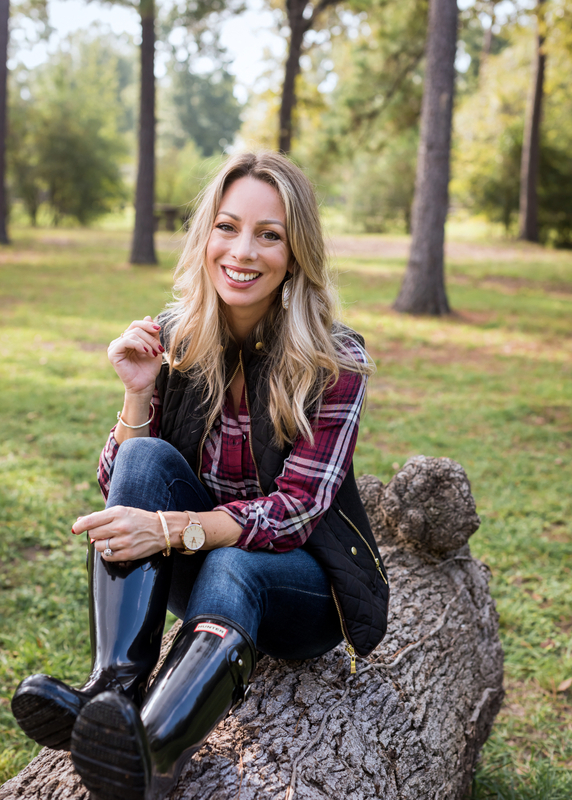 I know we all love a chance to dress up once in awhile and this collection will be perfect for outfitting you from head to toe, so you look gorgeous while you’re out being all festive! BUT, the cool thing about this collection is that the tops look equally as good dressed down with jeans as they do dressed up with fancy bottoms and skirts. The GibsonxGlam collection will be sold exclusively at Nordstrom online and in select stores (about 30 nationwide). The collection launches this Monday, November 12, but I don’t know how long it will be available. With 8 other bloggers promoting it, I don’t expect it to last long! My blog post is scheduled to go live at 5am CT, unless I get word that the collection will be fully available earlier. I’d love to have you visit to my blog bright and early on Monday morning and see the entire collection! I’ll be walking you through every piece and giving you helpful fit and styling tips so you can figure out what to order and in what size. 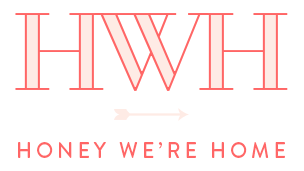 If you click over to Nordstrom from my blog, they will be able to see you came from Honey We’re Home! It will be so cool to show Nordstrom how loyal the HWH readers are! To celebrate, I’m giving one of you $250 to Nordstrom to shop the collection! 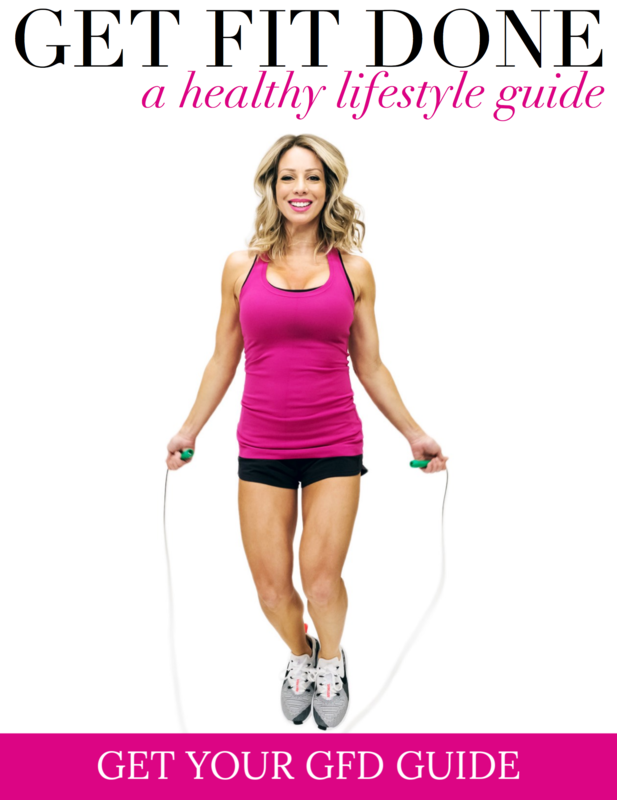 All you have to do is subscribe to my blog to be entered to win. If you are already subscribed, you will automatically be entered to win. Easy peasy! I will announce the winner on Monday morning, so come back bright and early! Speaking of Gibson, the cozy tunic that can be worn cowl neck or off shoulder is 33% off. Save $30 on this casual, oversized sweater. The hot pink is calling my name! One of my favorite booties from this year is 50%. I have the ‘Dark Saddle Suede’, but I’m eyeing the taupe as well! 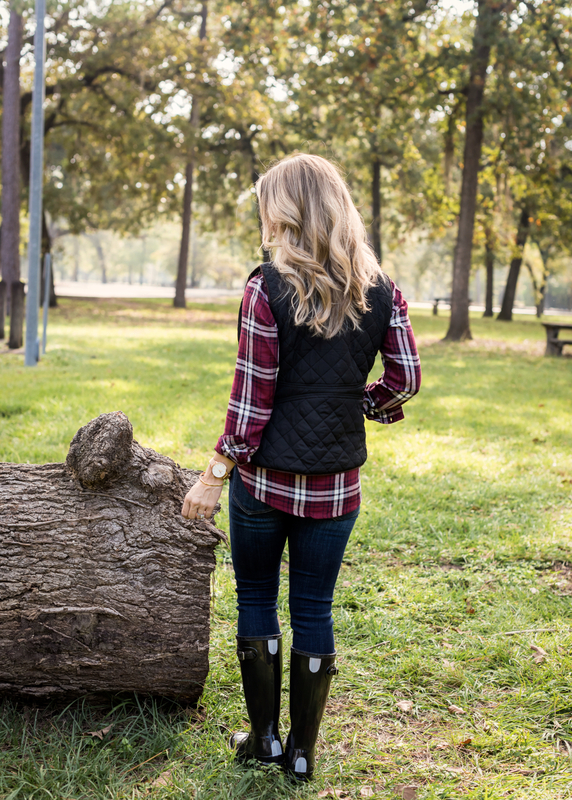 A good camo jacket adds a pop of pattern to any Fall outfit! It was originally $98, now only $36. Macy’s — Receive up to 30% off sitewide, plus 15% off cosmetics with code FALLBACK. At Nordstrom, get up to 40% off select Fall styles. Target’s giving away gift cards! Get $10 gift card when you spend $50, $25 gift card when you spend $100. This Thanksgiving inspired post and pre-Gibson launch are stirring up all the warm emotions inside. I’m so honored to get to be a part of this and do work that I’m passionate about. THE GIBSON x GLAM COLLECTION IS LIVE! 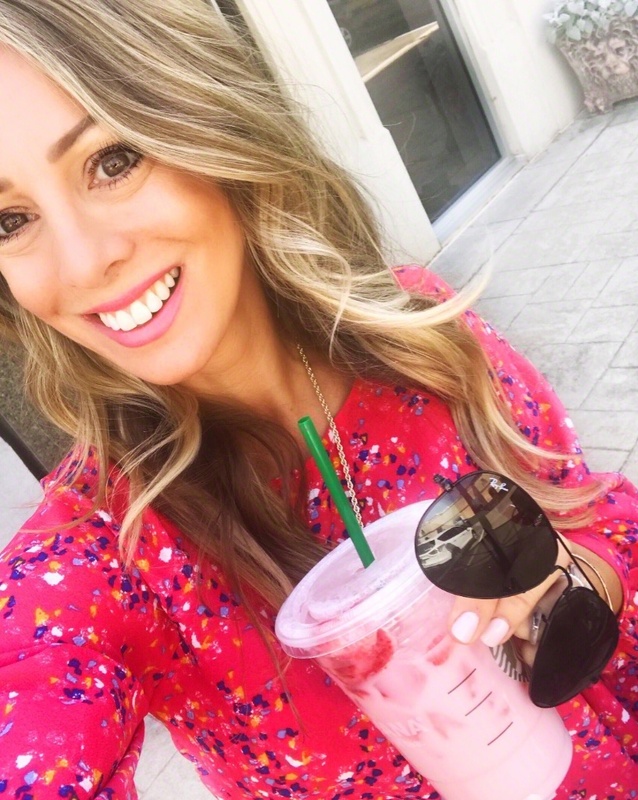 Previous Post Just (the best) Sales & $250 NORDSTROM GIVEAWAY! Next Post THE GIBSON x GLAM COLLECTION IS LIVE! You look adorable in all these outfits!! 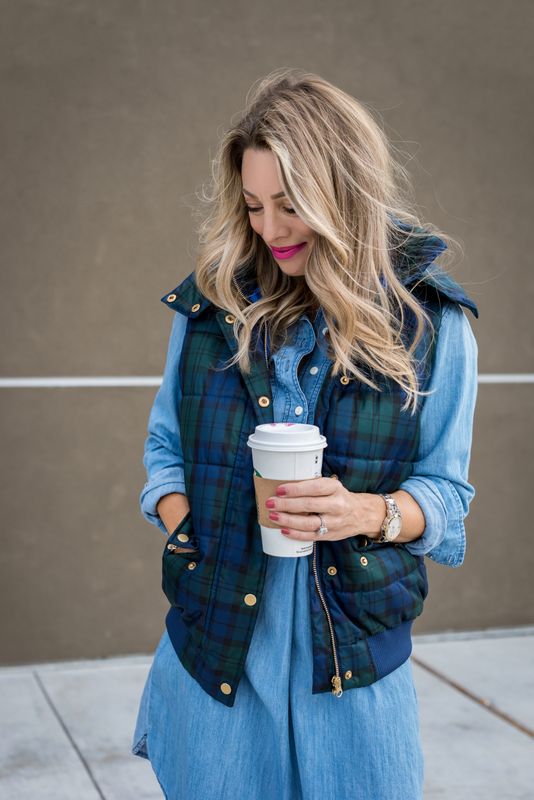 I have and love that plaid vest, too! And so excited for Monday!! 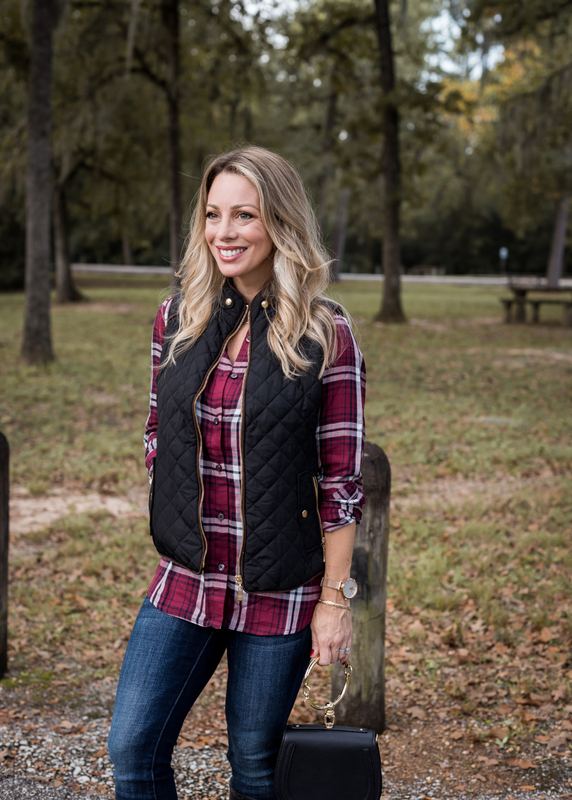 What size are you wearing on the plaid top from Macy’s? Love the combo with the black vest !